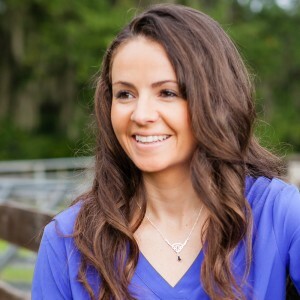 Welcome to our site where you can find your personal link to the history, heritage and beauty of Celtic Jewelry. Explore Celtic Lands, be fascinated by the beautiful scenery, the amazing architecture and become connected and inspired to celebrate your ancestry. 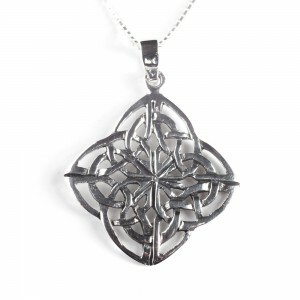 Celtic jewelry from Celtic Elegance is timeless. Our stunning collection of traditional and contemporary handmade jewelry awaits you. 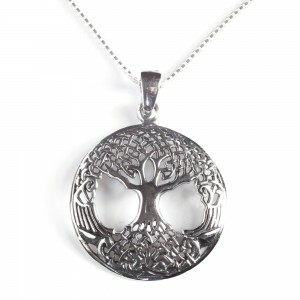 This Celtic Tree of Life pendant is that of the revered Oak. The stark winter silhouette is very attractive. It is handcrafted in .925 sterling silver. This is a small pendant featuring four Trinity Knots which are inter-connected. It is a very simple yet classic design. If you are looking for a small pendant to wear alone or with others this would be a good choice. It is a great gift for First Communion too. 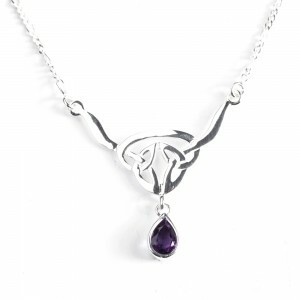 This Trinity necklace features two Trinity knots beautifully crafted to hang above the tear drop genuine faceted amethyst. The necklace is handcrafted in .925 sterling silver. 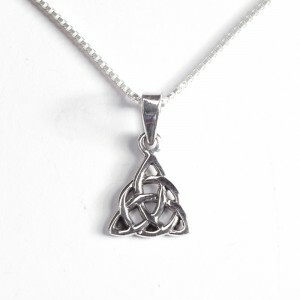 This is a small Triquetra pendant and greatly liked. It may be worn alone or worn as a charm with other pendants. It is a popular gift to celebrate First Communion and births. It is handcrafted in .925 sterling silver. 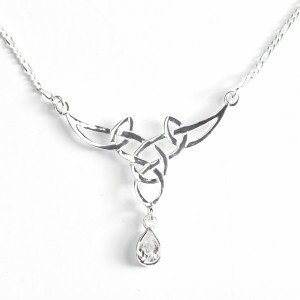 This is a very elegant Celtic Knot Necklace featuring a teardrop cubic zirconia. It is of a very open weave design and features very stylized Trinity Knots. It makes a perfect accessory whether for day or evening wear. 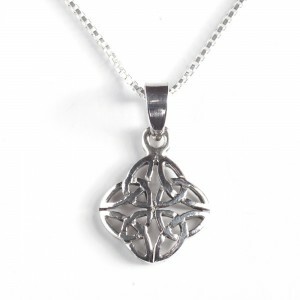 This Celtic Knot is intricate and the undulating silhouette is very attractive. The linear pattern is intriguingly never ending. It is handcrafted in .925 sterling silver. Several chain options are available. 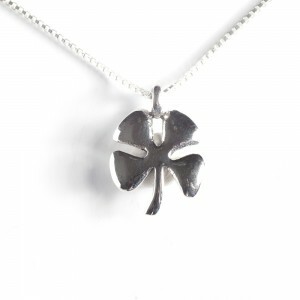 This is a charming Four Leaf Clover pendant representing love, faith hope and good luck. It is handcrafted in .925 sterling silver. This Tree of Life pendant is an art piece. The branches and roots are remarkably tooled in .925 sterling silver. 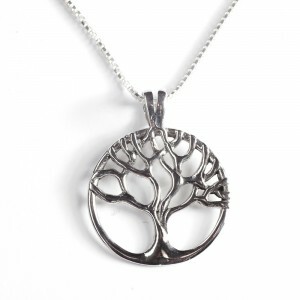 This is our 2nd largest Tree of Life pendant. 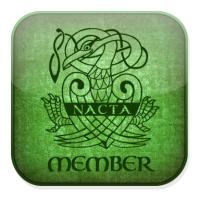 The North American Celtic Trade Association (NACTA) is the trade association for the Celtic market in North America. Its membership represents retailers, vendors, manufacturers, distributors and others involved in this niche market.